What is ApartmentLUXE furnished housing? Marcy Kornblum and her talented team are proud to introduce ApartmentLUXE, the best place for all of your apartment resources. With over 25 years experience in corporate furnished apartments across the country, with focus in New York City, our mission is to provide uncomplicated corporate housing with an emphasis on customer service that ensures client satisfaction every time. What is the difference between an ApartmentLUXE furnished apartment and a hotel? ApartmentLUXE provides spacious studios, 1-bedrooms, 2-bedrooms, and 3-bedrooms all fully equipped with a separate kitchen and bathroom, unlike most hotels. Each apartment is uniquely furnished to make you feel more at home. Staying with ApartmentLUXE also allows you to personalize what you need and want easily, from length of stay or type of apartment, which could be difficult or pricey in a hotel. And each apartment has high-speed internet and utilities included in your monthly cost. ApartmentLUXE always provides unbeatable boutique quality customer service and most apartment buildings normally include a doorman/concierge, laundry facilities, gym, etc. Our goal is to provide space, comfort, and style at a more affordable price. Enjoy the luxury similar to a high-end hotel, but at a budget price. 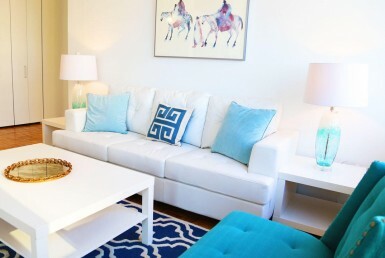 Why choose an ApartmentLUXE furnished apartments? ApartmentLUXE’s mission is to demonstrate to all our potential and current clients how we are different than any other company in the furnished housing industry. What makes us different is that our team recognizes that every company and individual’s needs are different each time. It is for this reason that the ApartmentLUXE team takes the time to personally tailor each experience to ensure client satisfaction. Much of our diverse client base is from another state or country. It is often difficult to book an apartment that you have not personally toured. We take the time to get to know you prior to your arrival to ensure that we provide you with the best match for your criteria and budget, thus making every stay with us a satisfying and enjoyable experience. We want every person to feel “special” at all times. What is included in an ApartmentLUXE furnished apartment? Each apartment is fully furnished with a complete living room, bedroom, bathroom, and dining room set (when applicable). 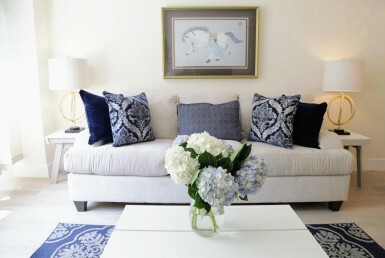 ApartmentLUXE carefully designs and arranges unique furniture pieces and uses high quality bed and bath linens in each apartment. Each kitchen is stocked with a dining set for 4 and cooking utensils. Each bathroom is stocked with bath products, blow-dryer, and towels. Utilities and high-speed internet are installed in each unit as well. ApartmentLUXE’s goal is to fill the apartments with everything one would need at their own home. What are the typical rates for a furnished apartment? What is the minimum stay requirement? 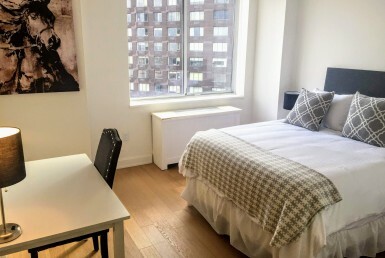 There is a 30-day minimum requirement to rent a furnished apartment in NYC. Other cities may vary. How do I book an furnished apartment? Call ApartmentLUXE today 646-558-3858 or visit our office at 340 East 51st Street, New York, NY 10022 and an associate will be able to help you and answer any of your questions. We realize the importance of having a close companion, even if it comes with fur, scales, whiskers, and/or spots! We invite you to bring your best friend along with your family or with you during your business stays. Contact us about our pet-friendly accommodations located throughout Manhattan today. What type of housing does ApartmentLUXE offer? 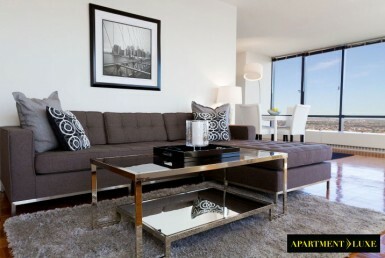 ApartmentLUXE offers corporate housing, short-term furnished apartments, as well as long-term unfurnished apartments. What methods and forms of payments are accepted? ApartmentLUXE accepts cash, check, or credit card. Where is ApartmentLUXE furnished housing located? 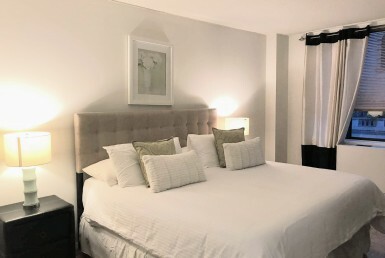 ApartmentLUXE is based in New York City, providing furnished apartments Downtown, Tribeca, West Village, Greenwich Village, East Village, Murray Hill, Midtown West and Midtown East, Upper East Side and continuously expanding. ApartmentLUXE also offers housing in Los Angeles, San Francisco, Chicago, Washington D.C, Florida, and New Jersey. Can ApartmentLUXE assist with anything else? Give us a call 646-558-3858 and if we cannot help you, we could at least lead you to the right direction. We understand moving to a new city can be daunting and we would like to help ease your transition in any way possible!